The supervillain turned hero is one of the most tried and tested tropes in comic books. However, seeing as some of the most enduring modern-day comic book characters have flip flopped between the sides of good and bad many times over the years, it can be difficult keeping tracking of allegiances and character motivations. For the most part, the following supervillains have turned into superheroes and definitely left their dodgy pasts behind them. For now, at least. Marvel have always relied on the ‘reformed villain’ concept. Although he was never really a supervillain, Namor is best remembered as one of the founding members of WWII supergroup the Invaders and has long been one of Captain America’s most reliable comrades. 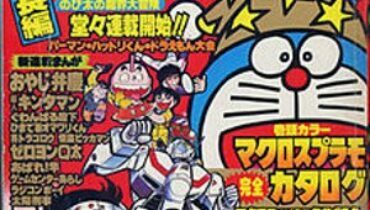 However, he was once a mortal enemy of anyone who walked on land. 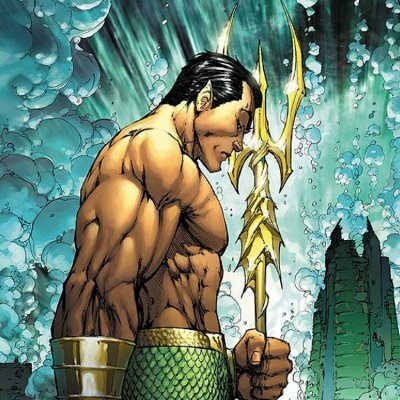 Half-human and half-Atlantean, Namor fought alongside the Allies with a ‘lesser of two evils’ mindset but he vowed vengeance on the surface world when he found that nuclear testing had destroyed parts of his homeworld. He’s had a pretty crazy character history ever since and even though his legendary superiority complex has seen him clash with pretty much everyone he comes across – superheroes and supervillains alike – the conflicted outsider is typically seen on the side of good these days. Plastic Man has always been one of DC’s wackiest superheroes. Possessing the ability to stretch and contort his body into pretty much any shape or size, this Golden Age superhero has always been a reliable source of quirky, offbeat humour. However, Plastic Man originally started out as a criminal by the name of Patrick “Eel” O’Brian. A petty thief and burglar, O’Brian was shot by a watchman during a failed heist at a chemical plant and covered in a weird substance as he tried to escape. Abandoned by his former gang, O’Brian passed out from his wounds and was taken in and healed by a monk who sensed in him a capacity for good. When he discovered that the weird chemical had completely changed his body’s composition, O’Brian became Plastic Man and sought to fight the same sort of gangs he once allied himself with. In a fairly unique twist on the origin story, this criminal went down a different path when he received superhuman powers and opted to shun his old life and become a superhero instead. Rachel Deighton was first introduced as a particularly lethal member of the Serpent Society who killed people with poison tipped diamonds. However, while on a mission to kill MODOK she caught sight of Captain America and instantly became smitten with the star spangled superhero. After a baffling incident where she somehow switched bodies with the Dazzler, she betrayed the Serpent Society and led Captain America to their headquarters. 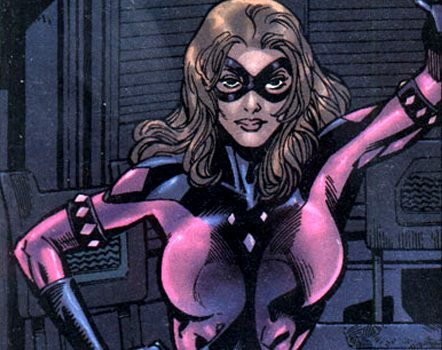 She dated the superhero for a while and was one of the founding members of BAD Girls, Inc (a group made up of other reformed members of the Serpent Society) before she eventually joined S.H.I.E.L.D and later the Secret Avengers. 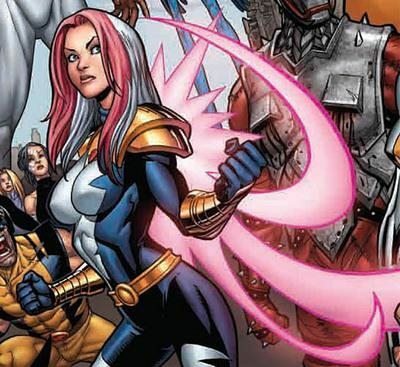 Melissa Gold once went by the name Screaming Mini and was part of a group of evil female wrestlers called the Grapplers, but she chose the alias Songbird when her subsonic powers were augmented by Baron Zemo and she joined the Masters of Evil (which eventually became the Thunderbolts). However, the team turned on Zemo after they had grown to appreciate their more heroic roles and had earned the public’s respect. Under the guidance of Hawkeye, the Thunderbolts became an effective team of anti-heroes and they were eventually pardoned for their previous lives of crime. Songbird now heads up a new Thunderbolts team alongside Luke Cage and they offer redemption to other supervillains who wish to change their ways. Rogue seems like such an integral part of the X-Men that it’s easy to forget that she was first introduced as a member of the Brotherhood of Evil Mutants. 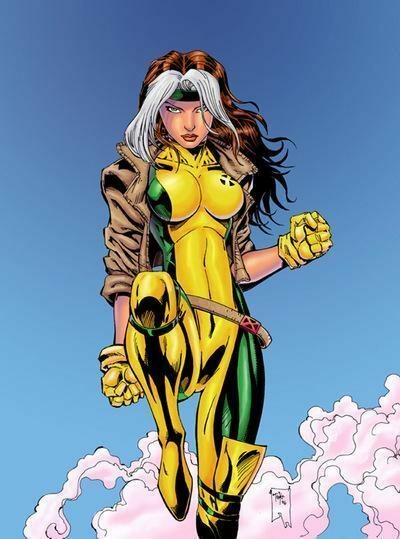 Rogue was able to use her abilities of absorption to steal Ms. Marvel’s powers, and this made her strong enough to take on the Avengers and the X-Men. Over time she became damaged psychologically from the mind ‘echoes’ which had been left behind in her psyche from people whose powers she had absorbed. She turned to Professor X for help and, although the X-Men were hesitant to welcome her at first, she proved her allegiance when she shielded Wolverine’s fiancee Mariko from a fatal laser blast. The symbiotes have been a thorn in Spider-Man’s side since the concept was first introduced in the early 90s during Marvel’s Secret Wars crossover. The black goo – which was later revealed to be a sentient extraterrestrial race – has the ability to attach itself to host organisms and greatly enhance their abilities and powers to superhuman levels. 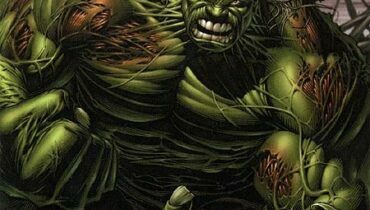 However, it also takes a psychological hold over whoever it bonds to and has been used countless times for evil after attaching itself to the likes of Eddie Brock (Venom), Cletus Cassidy (Carnage) and Mac Gargan (Scorpion). In 2011, Marvel put an interesting spin on the formula with the launch of ‘Agent Venom’. 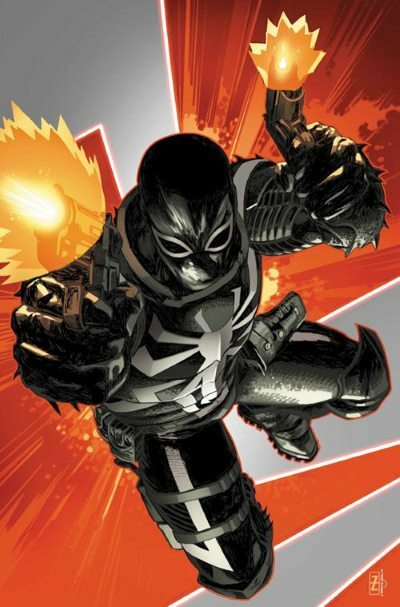 Peter Parker’s former high school bully Flash Thompson heads a team of soldiers who use a ‘militarised’ version of the symbiote for black ops missions. Yielding complete control over the powerful alien troublemaker (although it has taken over a few times), Agent Venom is able to use the evil symbiote for good and has become a member of both the Secret Avengers and the Guardians of the Galaxy in the process. 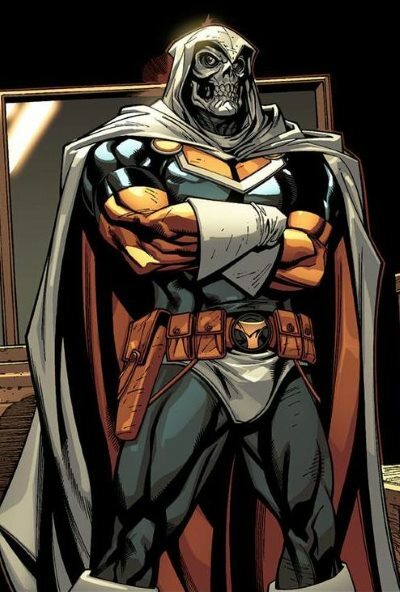 The Taskmaster was an inspired Marvel supervillain who had the ability to duplicate the fighting style of anyone he observes. First introduced as an enemy of the Avengers, his superpowered skills of mimicry made him a particularly deadly adversary and he frequently came up against the likes of Spider-Man and Ant-Man. 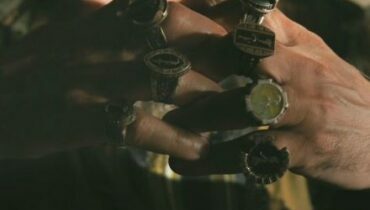 Working as a mercenary, his formidable skills made him an excellent teacher and some of his most notable students include Crossbones, the Spymaster and Spider-Woman. He received a full pardon for helping test the defenses of the SHIELD helicarrier in the aftermath of the Civil War, but partnering with Norman Osborn afterwards didn’t really help his credentials. However, he has more recently been working on the side of good by becoming a sleeper agent in A.I.M. for the Secret Avengers. 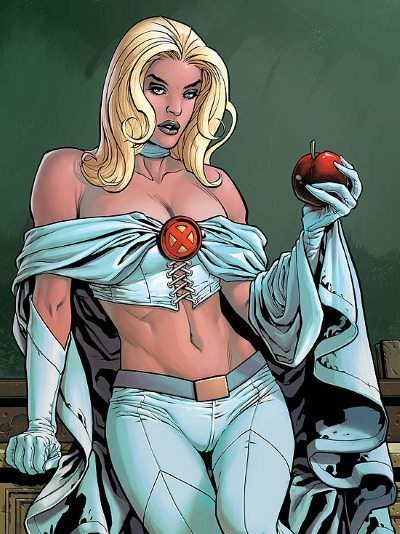 Frosty telepath Emma Frost was once such an integral part of the Hellfire club that it’s hard to imagine she’d one day become one of the X-Men’s core members and a love interest for Scott Summers. She rose to power in the shadowy, influential group alongside Sebastian Shaw and repeatedly clashed with the X-Men as she took the position of headmistress at the Massachusetts Academy and tried to recruit young mutants for her Hellion Club. Everything changed when mutant terrorist Trevor Fitzroy time travelled to present day from his dystopian future and brought with him Sentinels which attacked Frost and killed most of the Hellions. Professor X brought Frost in for recuperation after she placed herself in a psychic coma to survive the assault and she was finally placed on the path of the good. Orphaned at a young age when his parents were killed in a car crash, Clint Barton ran away from his children’s home to find a life in the circus. 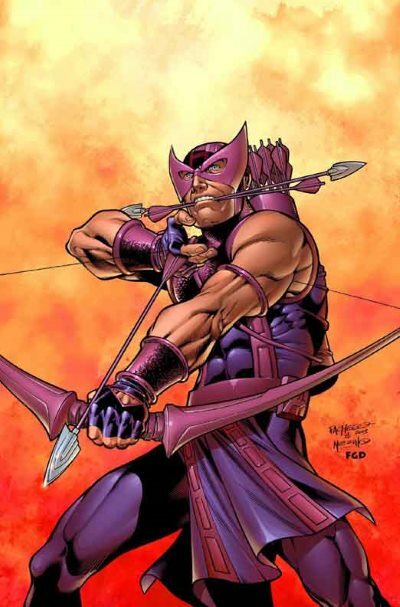 Taking naturally to the skills of archery and swordplay, Clint rejected a life of crime after he discovered that his mentors the Swordsman and Trickshot were criminals, and he left the circus to become a wandering carnival attraction under the persona of Hawkeye. After witnessing Iron Man in action he decided to try out his expert archery skills as a costumed hero, but he was mistaken for a criminal and while on the run fell under the spell of the Black Widow. Seduced into helping her steal Tony Stark’s technology, Hawkeye helped the beautiful Soviet spy on several occasions but decided to turn straight after she disappeared. 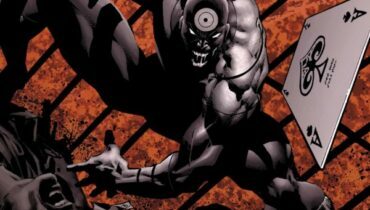 Along with fellow former bad guys Quicksilver and Scarlet Witch, he became one of the earliest additions to the newly formed Avengers and, although he’s had his fair share of fallings out with other superheroes over the years, it’s unlikely that he’ll even return to his former roots as a reluctant villain. 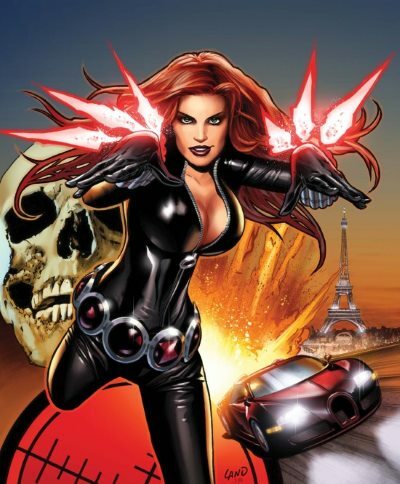 Unlike Hawkeye, the Black Widow hasn’t found it as easy to forget about her shady past. The Russian spy was first introduced as an antagonist of Iron Man who was eager to get her hands on some Stark tech. 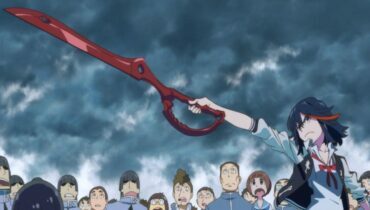 However, later retcons to her character revealed that she was trained by the U.S.S.R from an early age to be inducted into the Black Widow Program. Headed by the Winter Soldier (former superhero turned supervillain turned superhero Bucky Barnes), these young cadets were brainwashed and physiologically enhanced with a variation of the super-soldier serum. When she began to fall in love with Hawkeye, the KGB had her gunned down and brainwashed to regain her loyalty to her homeland. However, she broke free of their mental conditioning attempts and joined the Avengers. She returned to her black-ops roots when she went to work with Nick Fury at S.H.I.E.L.D, but her shady past has caught up with her on more than one occasion.